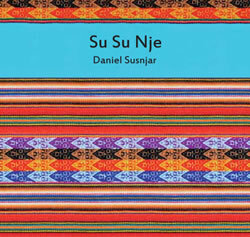 Daniel Susnjar’s debut album, 2014’s Su Su Nje, really peeled my ears back. The Perth (via Miami, Peru and NYC) drummer/composer’s intense playing and giddily-layered rhythms stood out in high relief from much else I heard that year in Jazz. Susnjar’s recent release, Moth To A Flame, revisits the Peruvian-Jazz fusion flavours of his debut, and is peopled with many of the same fiery, empathic players. This time the intensity and the invention are taken up a notch, with compositions, arrangements and performances uniformly stunning. To listen to Moth To A Flame one would expect these eight densely arranged, complex and exceptionally recorded pieces to have taken a year or two of performance, and then recording, to get to this level. In fact, the album was done and dusted (bar a little extra later dusting in WA and Miami) in 24 short hours. The drive to create within such a tiny time-window reflects Susnjar’s sharp-edged discipline and singular vision. It is this vision that has led to Susnjar picking up numerous awards as well as playing and record with artists as diverse as Chick Corea and Pharell Williams. All across Moth To A Flame his vision is there: from the sharply named and conceived opener ‘Rhythm Changes Peru’, to the dense rhythm lattices of ‘Used to Be a Festejo’ (a spiky cousin to Jaco’s ‘Used To Be a Cha-Cha’?) and the joyously festive ‘Tondero’. The two cover arrangements are great fun. The Leslie Bricusse chestnut ‘Feeling Good’ bounces on a springy Afro-Peruvian rhythm with sharp ensemble playing, a truly ‘felt’ vocal from Vivian Sessoms and Daniel’s father, Danny Susnjar channelling some Santana on a howling guitar solo. Susnjar’s take on the Charlie and Inez Foxx 50’s classic call-and-response tune ‘Mockingbird’ has great play with the rhythms and cross-rhythms; currents within currents that rise and fall. The closer ‘Pius Bartosik’ is a lovely, impressionistic composition that won Daniel Susnjar the WAM 2015 Jazz Song of The Year. A tone-portrait inspired by the indomitable spirit of Auschwitz victim Pius Ludwik Bartosik, it moves through various moods showcasing a number of the exceptional soloists in Susnjar’s ensemble – standouts are tenor saxophonist Laura Andrea Leguia and Susnjar’s short drum solo which plays tag with the horns. A fascinating release which will reignite any Jazz listener’s love affair with that most important and irresitable element of the art form – rhythm. Moth To A Flame deserves your ears. Your heart – and hips – will follow. Fusion of genres truly only work when each colliding style has enough in common to make the fusing seamless. Whether technique, timbre or just plain spirit, some common tongue needs to be spoken. Bossa Nova of the 1950s had US jazz and Brazilian tang fitting together like a hand in a parrot-plumed glove. The whirling syncopations of Spanish music also dances beautifully with jazz ­– check our own wonderful Translators – and the flailing marriage of Irish jigs and reels with Punk Rock can be hugely exciting. 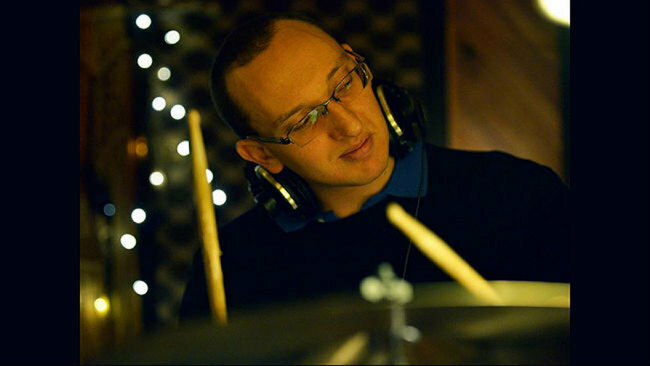 Travelled drummer, Daniel Susnjar has combined jazz with Peruvian rhythms, melodies and inspirations for his debut album, Su Su Nje. Opener ‘Enciendete Candela’ sets up a rolling yet spiky 6/8. As the melody is passed around the lead instruments, you can hear the distinctly jazz elements and the equally distinct Peruvian elements working together – not in parallel, but twined like a two coloured braid. What you can also hear is Daniel Susnjar’s easy dexterity and his knack of playing right inside the music. As well as keeping this tricky groove up he plays with the soloists, kicking along Laura Leguia’s soprano solo and adding some sparkle around Gabriel Alegria‘s trumpet, all without dropping a stitch. His own drum solo on ‘Enciendete Candela’ – interestingly answering a short melodic fragment – is smartly constructed and ‘sings’ beautifully. ‘Enciendete Candela’ is one of several rearranged classic Peruvian pieces Susjar has included in homage to the country’s master composers and musicians. His own pieces fit the mix neatly – ‘Land O Sus’ a lazier 6/8 with a sun-baked Spanish patina (check the fleet guitar solo of Daniel’s father, Danny Susnjar), ‘One Four Five’ a rock-fusion suite with some real arrangement smarts, ‘Fearless Feel’ a piece of percussion momentum that rolls like a wheel into tomorrow. Perth-native Susnjar recently returned from the United States, where he earned his Masters and Doctor of Musical Arts degrees. He has performed and recorded with artists including Chick Corea, Pharrell Williams, Bobby McFerrin, Terence Blanchard, Steve Miller, Danilo Perez, Dave Douglas, Chris Potter, Victor Wooten, Joshua Redman and Dave Grusin. For Su Su Nje, Susnjar selected just the right players based in New York, Miami and Peru – from New York, trumpeter Alex Pope Norris, tenor Troy Roberts, bassist Sam Anning and Paul Bollenback; from Miami, trombonist (and conch shell man) Chad Bernstein; and Peruvian musicians Gabriel Alegria, acoustic guitarist Yuri Juarez, Laura Andrea Leguia, and cajon player Freddy Huevito Lobaton. Daniel was proud to have his father Danny Susnjar co-produce and co-mix the album, as well contribute as a special musical guest. With Su Su Nje, Susnjar has created a fresh and bright thing. The Peruvian/Jazz collision is a soft one, like lovers coming together ­– and, unlike both the hush cool of Bossa, or the giddy muscle of Afro-Cuban and much other South Am music, the jazz-Peruvian thing is a unique vibe. I do hope we hear more of it. And I certainly do hope we hear more of Daniel Susnjar. The CD is available from Daniel Susnjar‘s website www.danielsusnjar.com and from iTunes.